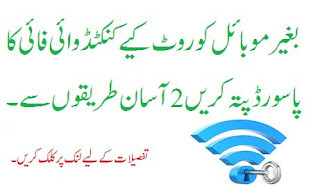 Hum already baat kar chuke hein keh kese connected wifi ka password find kar sakte hein lekin uss method mein mobile ka root hona lazmi hai.Jese keh uss post mein me ne promise kia tha keh me without root wifi ka password find karne ka method share karo ga to aaj me issi ke about baat karne wala hoo.Iss ke 2 methods hein pehla sirf samsung devices pe work kare ga aur doosra method all devices pe work kare ga.Me dono methods hi share karo ga.
Jese keh me ne uper mention kia hai keh 1st method sirf samsung phones ke liye hi hai to ye question lazmi produce hota hai keh aakhir iss ki kya waja hai?Agar aap hamari site ke regular visitor hein aur aap ne pichli tamam posts read ki hein to apko pata ho ga keh mobile ko root kiye bghair custom recovery flash nahi ki ja sakti hai.Sirf aur sirf samsung hi aise phones hein jin ki custom recovery ko without root bhi flash kia ja sakta hai. 1st method mein hum custom recovery ko use kar ke connected wifi ka password pata kare ge.Ab hum to baat kar rahe hein keh without root connected wifi ka password pata karna aur without root custom recovery flash nahi hoti.G nahi aisa nahi hai without root custom recovery flash ho jati hai lekin sirf samsung phones ki.Ab only samsung ki hi hoti hai to ye method issi liye samsung devices pe hi work kare ga.
Aroma file manager aik aisa file manager hai jo hum ko recovery mode mein android phone ki system files ko open karne copy karne move karne ya delete karne ki ijazat deta hai.Ye apk format mein nahi hota hai zip format mein hota hai.Iss zip file ko recovery mode mein flash kia jata hai aur jese hi flash complete hota hai recovery mode mein file manager open ho jata hai jaha se hum files ko access kar sakte hein.With root method mein hum ne data/misc/wifi/wpa_supplicant wali file ko open kar ke password find kia tha aur without root method mein hum issi file ko recovery mode se sd card mein copy kar ke baad mein kisi bhi text editor se open kar le ge aur password access kar le ge. Start karne se pehle me ye assume kar ke chalta hoo keh aap ke paas uper wali all requirements mojood hein aur aap apne phone mein custom recovery flash kar chuke hein. 3.Yaha pe kuch partition show hoo ge jese ke data system etc. G to iss file mein tumam wifi networks ke password hoo ge jin ko pehle kabhi connect kia gaya tha.Ab hum method number 2 start kare ge jo all mobile phones pe work kare ga. 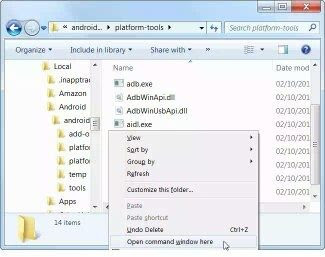 Iss method mein hum ko na to phone ko root karne ki zarorat hai aur na hi phone mein kisi type ki custom recovery flash karne ki zarorat hai.Iss method mein hum phone ko pc se connect kar ke wohi wpa_supplicant wali file apne pc mein copy kar ke uss mein se password ko access kare ge.Agar aap aisa samjh rahe hein keh hum directly phone ko data cable se pc se attach kare ge mobile pc mein show ho ga aur waha se uss file ko copy kar le ge to aisa nahi hai.Ye itna easy nahi hai.Iss ke liye hume kuch requirements ki zarorat ho gi jo me neeche mention kar raha hoo. 10.Ab aap iss file ko notepad se open kare aur yaha pe apko all wifi ke passwords show ho jaye gi. Umeed hai apko without root connected wifi ka password find karne ka method samjh mein aa gaya ho ga.Agar abhi tuk apko in dono methods mein se kisi method mein koi problem aa rahi hai to aap neeche comment kar ke pooch sakte hein.Post ko social medias pe lazmi share kare.Issi ki sath ab mujhy dijye ijazat Good Bye. Bhai mainy apka tareqa istemal krky dekha lekin mujhy aik error milta hai jyse hi main adb pull /data/misc/wifi/wpa_supplicant.conf c:/wpa_supplicant.conf likhta hun to .. Error : adb : error : cannot create file/directory 'c:/wpa_supplicant.conf': No such file or directory..